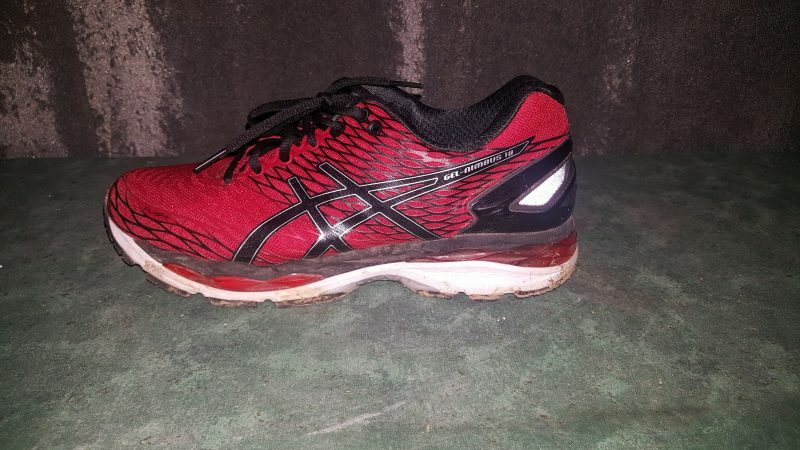 How good are ASICS Nimbus running shoes? 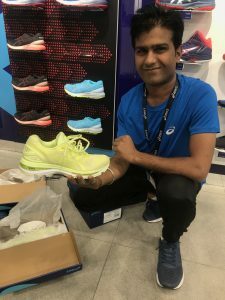 Yesterday, I was chatting to one of the lovely fellas in my running group, Navi Singh, as we ran our warm-up laps, & he was singing the praises of ASICS running shoes. 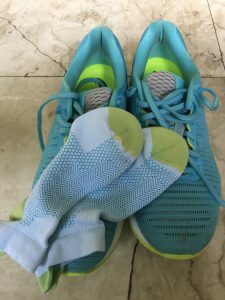 Now before you jump to any conclusions, this was nothing to do with the fact that we are part of the ASICS Running Club, since the club is only a few months old and Navi, as you will see in a moment, has been a loyal ASICS fan since 2011. 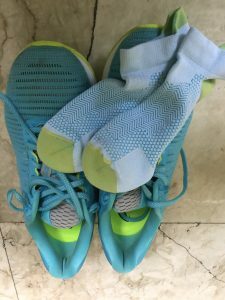 He waxed so eloquent on the subject of his running shoes, that I arm-twisted him into writing it up for the blog. I expected a re-hash of what we’d chatted about. This is a product review like no other 🙂 Just read it and see what I mean. Navi, my friend, this is such a fun review! And now, let’s hear his thoughts. 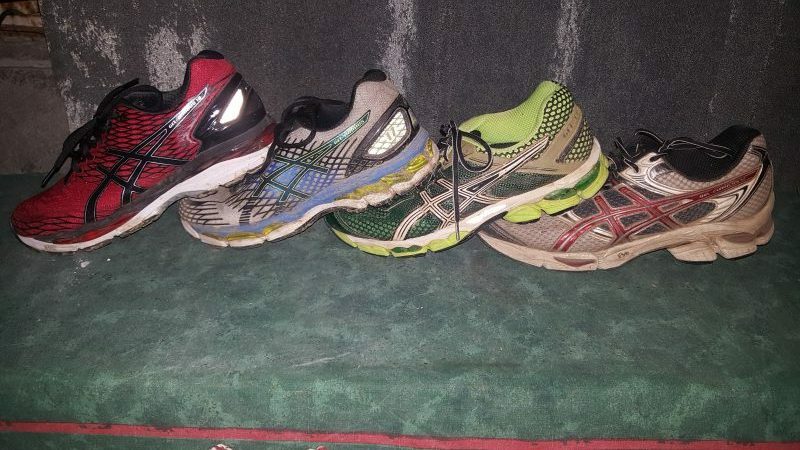 “My run buddy Asics was introduced to me in the year 2011. I was never an athlete in school. 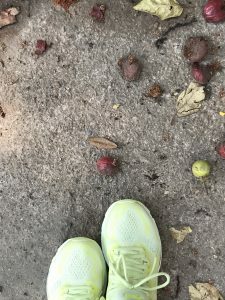 My flirtation with running started in college days as evening runs, listening to 80’s music on the cassette player Walkman. 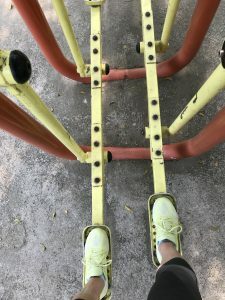 Typically while growing up in the 80’s, the sneaker brands known to us were Adidas and Nike. Reebok and Puma came in around late 80’s.The sneakers were brought more as a lifestyle fashion statement. 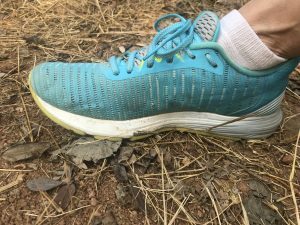 The interesting thing about running shoes was, you buy new sneakers and then wear them sparingly while going out, partying etc. 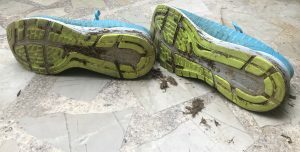 They were used for running after 2-3 years, ie. when they got old. Now it’s the other way around. 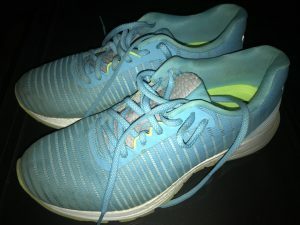 I use the new shoes for my runs, and after few years use it for everyday wear. 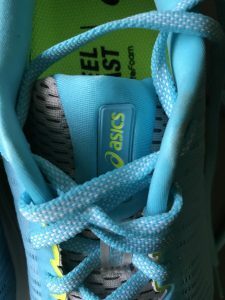 I tried Asics shoes by default and fell in love with them instantaneously. 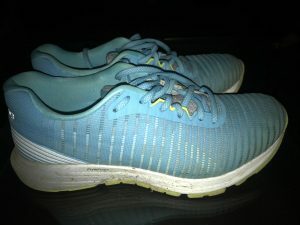 The first ever model I brought was Cumulus 13, even ran my first half marathon in them. 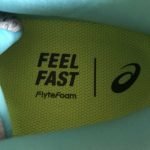 The feeling you get after wearing them is like floating in the air, thanks to the gel technology of Asics. 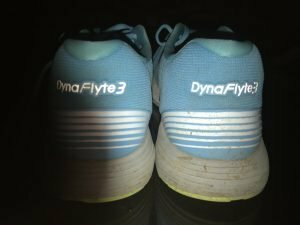 I used them for almost 3 years of road running and the damn shoes still bounced back. 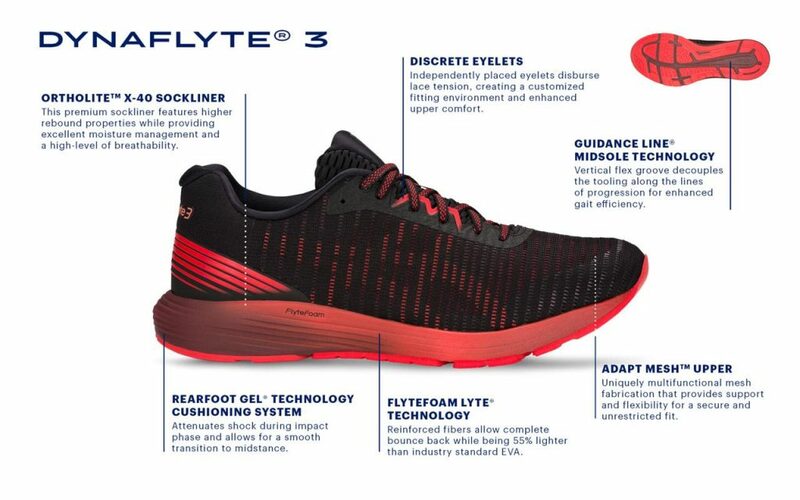 The mid sole has the longest life compared to any other brand available at least to my knowledge. 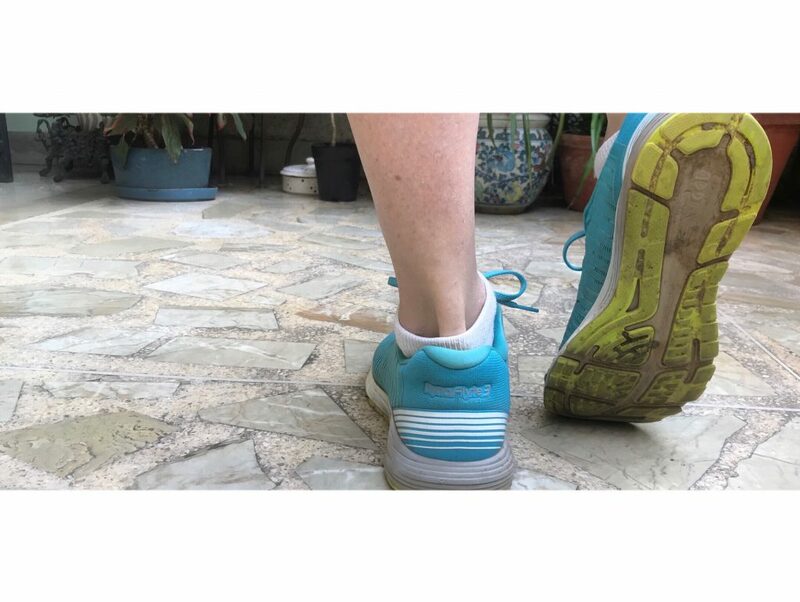 It is unbelievable that I still have that shoe and is going strong. 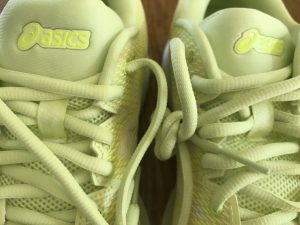 My second pair of Asics was again Cumulus (15). 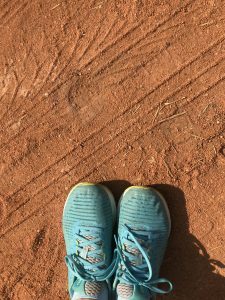 The love affair with Asics continued, and I brought Nimbus (17) for the first time in 2016. And fell all the more in love with them. 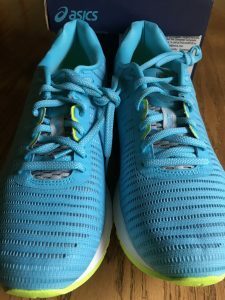 It would be not wrong to say they are the most cushioned neutral shoes available. 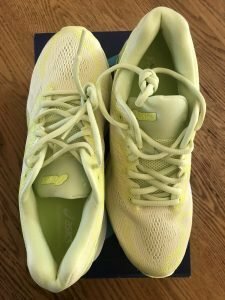 The cushioning in Nimbus is out of the world. 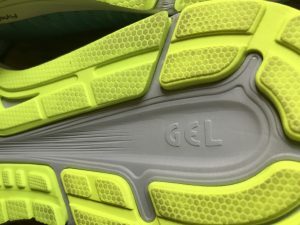 I have compared it personally with Nike Cushlon and even the latest Adidas Ultra boost, & the gel cushion of Asics Nimbus way surpasses both the brands. And when you compare the price with other brands, it’s a steal. Typically the competition brands are around Rs17-20k range whereas Nimbus is in Rs12-14k range. 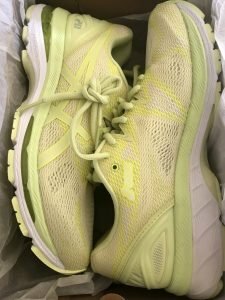 I would like to point out another misconception about Asics that runners typically have is that Asics is a heavier shoe. 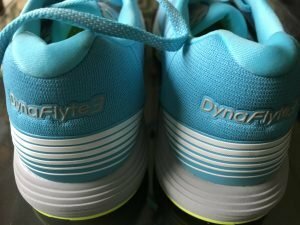 I have personally compared it with other brands, mind you it’s lighter compared to any shoe with that kind of cushion. 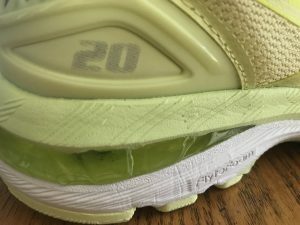 Anyway, I could never understand the concept of 20gm here and there in a shoe, when you weigh around 50-75kg. Isn’t that the best review ever, complete with musical accompaniment? 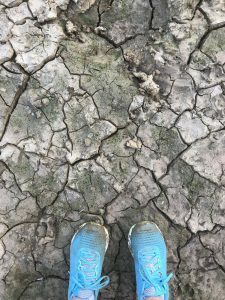 I liked this post so much, that I have added “Let’s Dance” to my own running playlist (why wasn’t it there in the first place, of course…) & written a short blog post about the song, with a link should you wish to download it, too.